Have you ever bought a product only to get home and see that the batteries were, in fact, not included? Or maybe you bought that cool looking shelf from IKEA only to find that the on paper instructions make little sense leaving you a frustrated mess amongst cheap wood and screws. These are the kind of frustrations that plague consumers on a daily basis, and are ones that PayPal may be looking to solve, according to a recently granted patent. Filed in January of this year and granted last week PayPal’s patent, titled Augmented Reality View of Product Instructions, details a methodology for displaying pertinent information about products including reviews and needed accessories as well as an end to end solution for purchasing those products directly through the system. 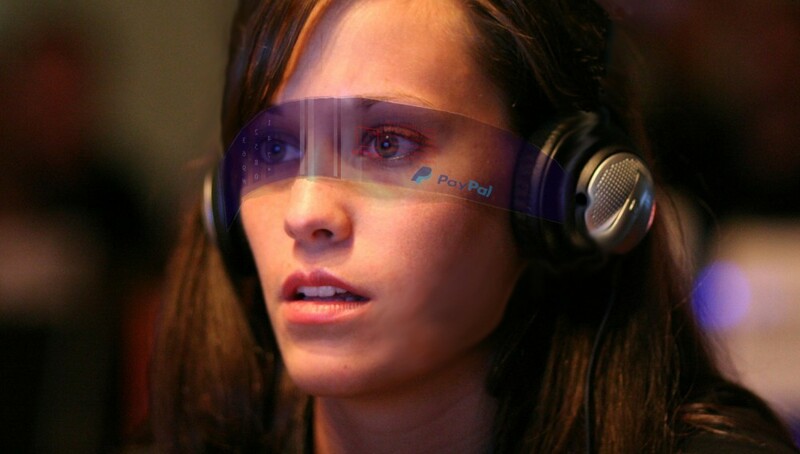 The proposed system from PayPal would allow a user wearing an AR device to look at an object and instantly be able to get the pertinent information they need including product reviews, needed accessories, similar recommended products, and, of course, instructions.By identifying objects and making recommendations PayPal will be able to help create consumer purchasing flows even easier. Looking to buy that speaker system? Here are all the product reviews, comparison prices, and the cords you will need to buy to set it up. The patent contains multiple mentions of a user flow that would direct the user to purchasing objects they have identified with the system through “an online marketplace” including auction sites like eBay (who was specifically mentioned in the patent) suggesting that helping consumers set up their IKEA furniture and make informed purchasing decisions may only be the beginning of PayPal’s grand vision for AR – the ability to take any physical object, instantly search for it online and then purchase it through PayPal’s payment system. The year is 2025 and you are casually out for a stroll through the farmers market. As you make your way down the isle a booth with locally designed clothes catches your eye, including one particularly fetching dress. Speaking the wake words to your AR headset, the familiar ripple of the device’s world scanning grid flows over the garment. Less than a second later, the display is able to gather a few similar looking dresses from online vendors as well as a coupon for Macy’s upcoming summer dress sale. Comparing the options, you see a very similar dress from another online vendor offered at a much cheaper cost and make the quick decision. Grabbing the virtual dress, a shopping cart appears in the left corner of your field of view and you drop it in selecting continue to checkout. The PayPal payment window reminds you to tap your thumb to the headset’s pocket computer to verify your identity for purchasing. You do, and are promptly notified that your dress is on the way via drone delivery. You dismiss the display and continue onto the vegetables you came to buy in the first place. As with any patent, this vision is by no means a guarantee. There are still a number of things that need to be perfected with computer vision to make this work seamlessly every time, and there is still the small matter of there not being any consumer AR headsets on the market yet. But those things are an imminent part of our future, and this is just a small glimpse at the many ways those technologies are going to completely transform our way of life.